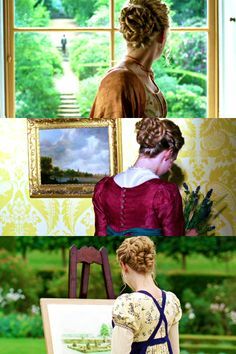 Along the Brandywine: Would You Rather Austen Tag! Would You Rather Austen Tag! 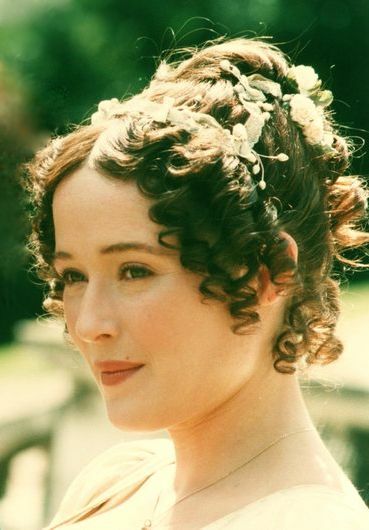 ~ Who would you rather have act as your matchmaker, Lady Russell (from Persuasion) or Mrs. Jennings? Mrs. Jennings, because (speaking from experience picked up here and there) I'm pretty good at deflecting/laughing off/handling certain comments from friends and acquaintances, whereas I think the emotional pressure would be tremendous and entirely different coming from someone filling a quasi-mother position. ~ Who would you like as a pen pal from Jane Austen's works? Oh my, there are so many. Jane or Lizzy or Elinor or Isabella (because all the Knightleys are so altogether wonderful)... but I suppose most of all Anne Elliot. She's understanding and well read and clear sighted and mature, with flashes of delightful humor. ~ Who would you rather go on a walk with, Colonel Fitzwilliam or Captain Benwick? Well (seeing as the scenes with Colonel Fitzwilliam in the '95 are some of my favorites) the former. ~ Who would you rather have to befriend, Mrs. Elton or Lucy Steele? Oh, Mrs. Elton beyond a doubt. Irritating and cliquey as she is, she isn't wicked. Lucy's spiteful and manipulative. 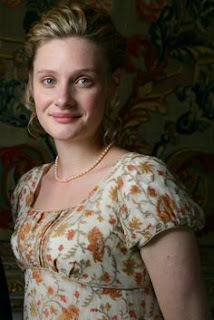 ~ Who would you rather have as a sibling, John Knightley or Mary (from Persuasion, not Mary Bennet)? John Knightley. Yes, he's grumbly, but he's so very funny. And he's a Knightley, so he really does put up with a lot in spite of himself. In short, he would make a great brother/in-law. Let us see... Mr. Knightley? Or Darcy? Or there's always Tom Bertram. ~ Who would you rather refuse, Mr. Collins or Mr. Elton? ~ Who would you rather match-make for, Miss Bates or Mary Bennet? 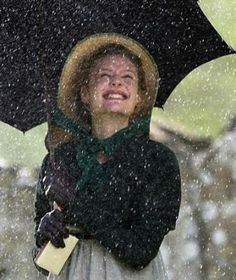 Well, Austen told her family that Mary eventually married a clerk of her uncle's (Mr. Philips, that is), and it would be especially wonderful to see Miss Bates comfortably settled. For all her failings, she's so goodhearted and thankful and knows how to manage so well. ~ Who would you rather have as a best friend? Anne Elliot (for all the reasons listed above and then some). Well, I couldn't argue with Mr. Knightley, seeing as I think he's right in just about every instance. Thinking of some secondary characters... maybe Lady Russell, actually. Because she's mature and would give thought to what I said and there would be strong hope of convincing her. Admiral or Mrs. Croft might actually be fun, too -- in a playful way. ~ Would you rather wander the grounds of Pemberley and risk being 'discovered' or wander over the downs surrounding Barton Cottage in the rain and twist an ankle? 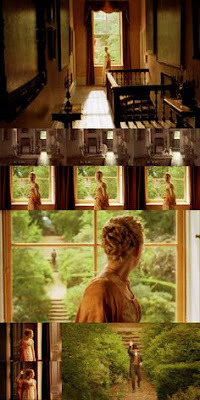 ~ Where would you live in Austen's works? On a smaller, comfortable, homey scale, the Collins's parsonage (yes, with its perfectly proportionate stairs and super useful shelves in the closets) or Longbourn itself (another favorite). On a grander scale, Hartfield or Donwell Abbey. All four have positively splendiferous gardens. Thank you so much for the game, Cordy! It was tremendous fun. And I hereby tag anyone reading who would like to do it as well. Let me know if you do it so I can read your answers! 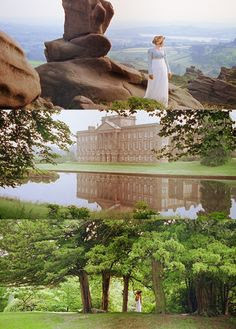 Can you tell my two top favorite Austen adaptations and what I'm feeling like watching at the moment? :) What do you have planned for this weekend? Lovely answers, Heidi! :) I like what you said about Anne Elliot. She really would make an excellent friend. Oh, yes. I love the scenes with Colonel Fitzwilliam in the '95 movie, too. He's such a friendly, kindhearted person. Loved your answers!! And all that lilac type. I love spring :) Except for the allergies of course . . . I filled out this tag on Cordy's blog, in the comments. I like the Colonel in all his scenes but particularly his kindness and good manners during the walk. He's awesome! Haha, just because Mr. Knightley is right doesn't mean I wouldn't argue with him. I'm strange like that. :) I think it would so much fun to argue with him even if we were on the same side. Oohh! I didn't even consider the parsonage but it's very lovely too! The outside with all it's lovely walks and the ivy walls. It's charming. And as you said, the inside is fitted out in such detail. ;) Haha. Your answers were so inspired, Heidi! ;D Hehehe, I'm glad you had a good time! 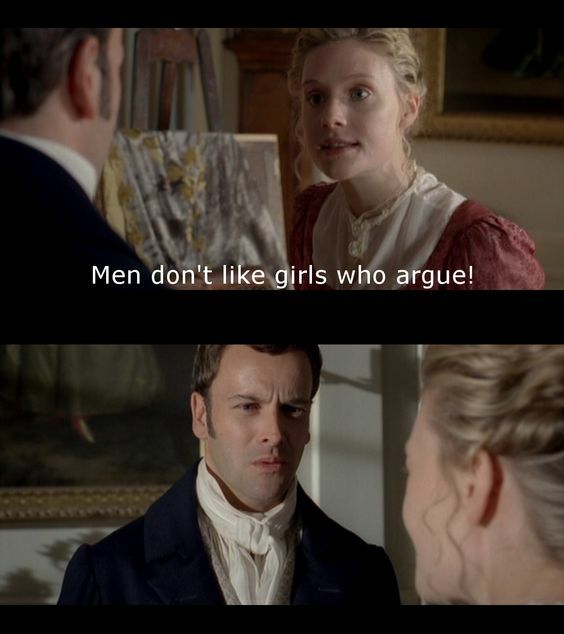 Haha, that "men don't like girls who argue" picture xD Knightley's face! And I hereby accept your proposed challenge! 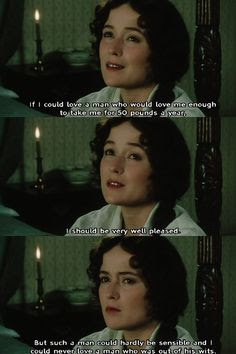 I love your plans for Miss Bates. It sounds perfect!